Attorney Thomas E. Casartello concentrates in the area of workers compensation and personal injury law. Since 1986, he has represented injured workers before the Industrial Accident Board, where he has developed a reputation as a strong advocate for his clients. He represents insurance carriers in the defense of workers compensation claims, which gives him a unique understanding of how claims are handled in the insurance industry. Attorney Casartello has litigated for accident victims for more than 30 years, obtaining recoveries for his clients in auto accident and personal injury claims. 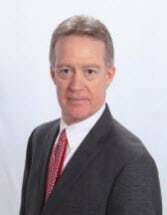 A resident of the Springfield area for more than four decades, he is a graduate of Cathedral High School, Western New England College School of Business, and Western New England College School of Law. Attorney Casartello is also a member of the Hampden County Bar Association and the Massachusetts Bar Association.